"Now Michael, you're the son of a naval officer, you must behave like a naval officer at all times..."
What Captain William Rutherford told his seven-year-old son Michael was to stay with him all his life. Born in 1950, Michael was truly his father's son, even serving in the naval section of the student cadet corps at one of England's top public schools, Charterhouse. Mike's future lay in the civil service: it was a subject that he discussed with his father at Captain Crawford's gentlemen's club. But then something happened. Mike discovered rock music. As one of the founder members of Genesis, Mike was to tour the world and achieve international fame. From unpromising beginnings - demonised by his teachers as a fomenter of revolution, driving to gigs in a bread van - Mike would go on to crisscross the globe with bandmates Peter Gabriel and, later, Phil Collins, playing to packed-out stadiums and achieving record sales of over 150 million. Swapping old school ties and Savile Row suits for flares and Afghan coats, Mike and Genesis would pioneer the pomp and theatricality of 1970s progressive rock before becoming household names in the 1980s with hits like Turn It On Again, Mama and Land of Confusion. There was drink, there were drugs; there were arguments and excess. But, in the background - and sometimes in the audience - there was also the loyal Captain Rutherford, earplugs at the ready, Melody Maker in hand. A proud father still. 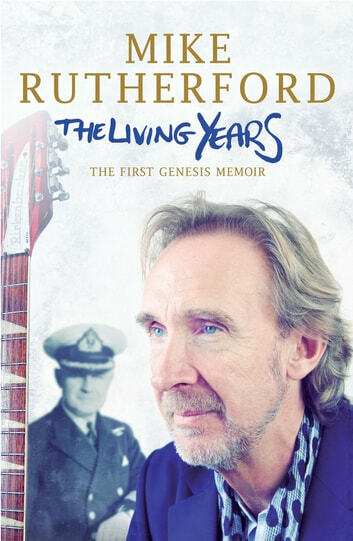 The Living Years spans the entire history of Genesis, from the earliest days as a school band to the triumphant 2007 reunion tour when Genesis played to over 500,000 people in Rome. But this is not just another rock 'n' roll memoir. This is also a book about two men whose lives and complex relationship reflect the seismic social and cultural shifts that took place during the twentieth century. A book for every father and son.